As if you didn't have enough to worry about this weekend, Assistant Surgeon General Ali Khan is warning of a pending Zombie apocalypse. And she hasn't even been fired yet. Actually, it's a pretty good idea. There are all kinds of emergencies out there that we can prepare for. Take a zombie apocalypse for example. That's right, I said z-o-m-b-i-e a-p-o-c-a-l-y-p-s-e. You may laugh now, but when it happens you'll be happy you read this, and hey, maybe you'll even learn a thing or two about how to prepare for a real emergency. Oh, I get it. A real emergency. This is a joke, right? Indeed. The CDC claims the post is a "tongue in cheek" effort to get people to get their emergency preparedness kits together. Um. Okay, CDC! And in reality, you really should get your emergency kit together. In addition to what's on the CDC list, I suggest adding a sawed off shotgun, along with whiskey, gasoline, and (what the hell) ecstasy pills. You never know! If zombies did start roaming the streets, CDC would conduct an investigation much like any other disease outbreak. 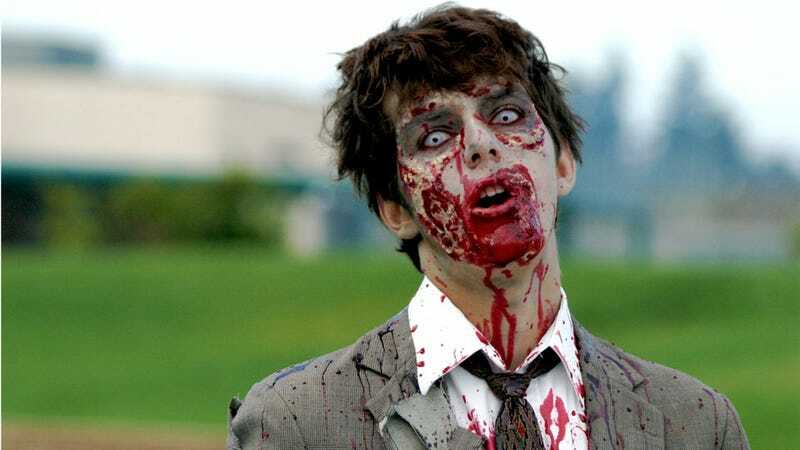 CDC would provide technical assistance to cities, states, or international partners dealing with a zombie infestation. This assistance might include consultation, lab testing and analysis, patient management and care, tracking of contacts, and infection control (including isolation and quarantine). It's likely that an investigation of this scenario would seek to accomplish several goals: determine the cause of the illness, the source of the infection/virus/toxin, learn how it is transmitted and how readily it is spread, how to break the cycle of transmission and thus prevent further cases, and how patients can best be treated. Not only would scientists be working to identify the cause and cure of the zombie outbreak, but CDC and other federal agencies would send medical teams and first responders to help those in affected areas (I will be volunteering the young nameless disease detectives for the field work). It's kind of genius, actually. The CDC actually has people talking about boring old emergency kits. Of course, is it awfully convenient that the warning is coming mere days before the May 21 rapture event. Maybe it's going to be a zombie rapture? Which would be pretty boss.